Despite its small size, Estonia has done remarkably well in the history of the Olympics; it is the 151st country by the size of its population, but 27th by the number of gold medals in the winter Olympics. The twenty-two athletes, who have been selected to represent Estonia in the winter Olympics 2018, in Pyeongchang, South Korea, can think back and draw some inspiration from the hundreds of Estonian sportsmen and women who have competed and won medals in the Olympic games before. As of 2016, Estonia ranked number eight in the total medal count, when calculated per capita, and taking into account both the summer and winter Olympics. 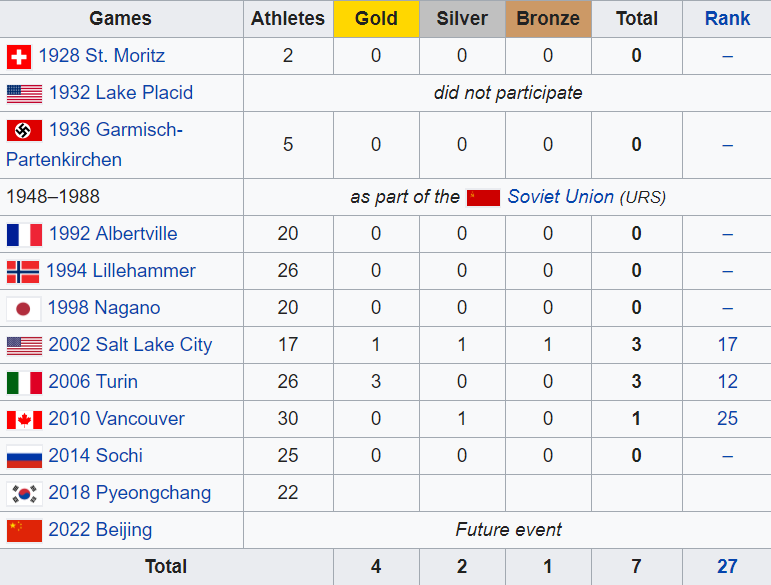 Estonia first participated in the St Moritz (Switzerland) winter Olympics in 1928, and then again in 1936 at Garmisch-Partenkirchen in Germany (then under the Nazi rule). Following the Soviet occupation of Estonia in 1940, Estonian athletes subsequently competed for the Soviet Union until its dissolution in 1991. After restoring its freedom, Estonia participated again as an independent nation in the 1992 winter Olympics in Albertville, France. 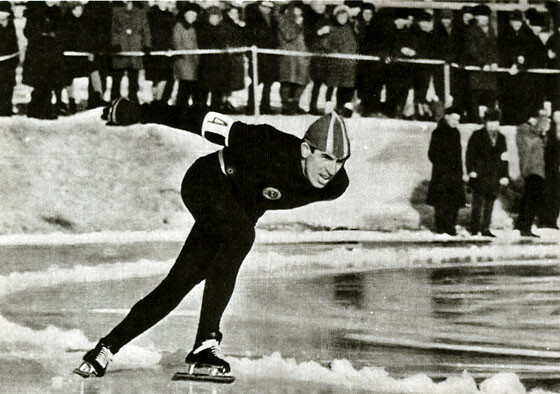 The first gold medal in the winter Olympics was brought home by Ants Antson, who was the fastest speed skater at the Innsbruck (Austria) games in 1964. It took almost 25 years to wait for another medal – Allar Levandi won a bronze in Nordic combined (the ski jumping and the cross-country skiing) in the 1988 winter Olympics in Calgary (Canada). Team Estonia has fared much better as part of an independent nation – mostly thanks to cross-country skiers Andrus Veerpalu and Kristina Šmigun-Vähi, who dominated their fields in the last decade. Veerpalu won a gold in Salt Lake City, the US (2002), and in Turin, Italy (2006), and Šmigun-Vähi captured two golds in Turin. Their success in Turin meant that with a total of three gold medals, Estonia snatched the 12th place in the overall medal board. 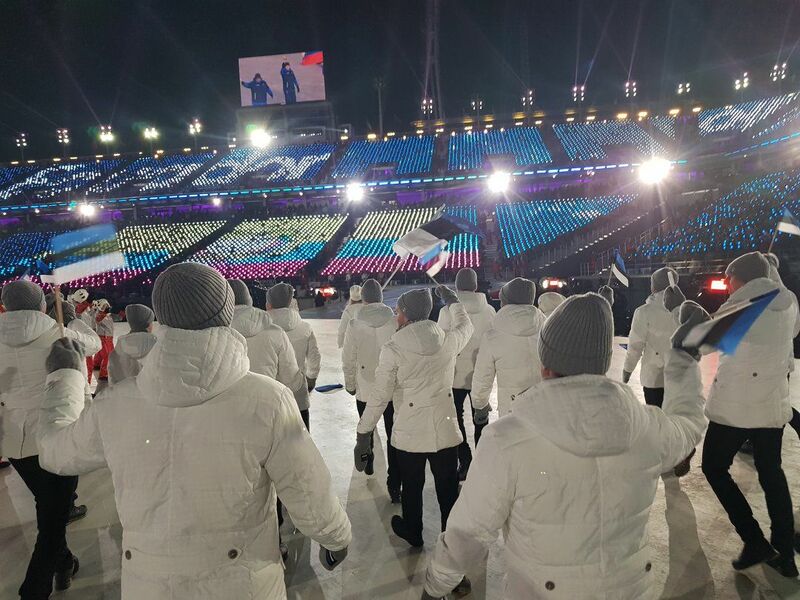 At Pyeongchang, Estonia is represented by 22 athletes from six sports: alpine skiing, biathlon, cross-country skiing, Nordic combined, ski jumping and speed skating. Out of the 22 athletes, twelve are making their Olympic debut. The youngest athletes of Team Estonia are 17-year old alpine skier Tormis Laine and ski jumper Kevin Maltsev. The most senior of the team is biathlete Roland Lessing; the 39-year-old is competing in his fifth Olympic Games. 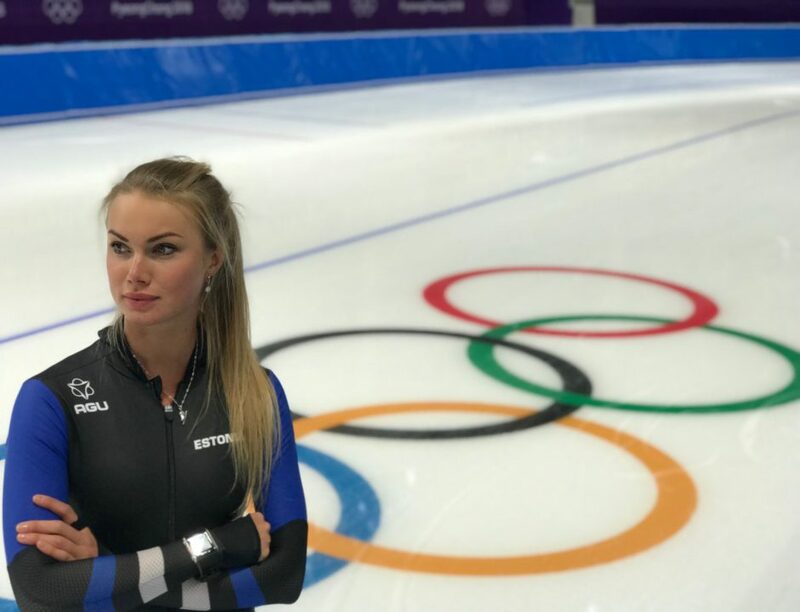 Cover: The flag-bearer for Estonia at the opening ceremony in Pyeongchang on 9 February was Saskia Alusalu, the first Estonian female speed skater to compete in a winter Olympics event. Read also: Estonia at the Olympics. Images courtesy of the Estonian Olympic Committee.